I keep plugging away at the book. Here are five things I did this week. 1. I spend two days a week working in two separate libraries. One is the Genealogy Room of the Jefferson County Library in Monticello, Florida, where most of the story takes place. The second library is the State of Florida Archives and Library in the R. A. Gray Building, Tallahassee. For the last several weeks I’ve been working on Civil War camp life and the building of the Pensacola and Georgia Railroad, specifically the railroad line that ran from Tallahassee to Alligator, Florida. Alligator’s name was later changed to Lake City. 2. The reason I’ve been studying this railroad line is because Mary’s husband William listed his occupation in 1860 as railroad agent. I went into this thinking that he was probably something like the head of a depot, but I found later that these positions were called depot agents. I thought he may have run a depot in either Jefferson County’s towns of Aucilla or Drifton, which was at one time called Walker Mill. Remember that Mary’s maiden name was Walker. I found, though, that former territorial Congressman Edward Cabell was president of this railroad line at the time; and according to his 1845 railroad company minutes, he asked the Board of Directors if he could hire a railroad agent. He described this person’s job as someone who would handle all of the paperwork that was mounting as they were getting closer to building the railroad. They had not begun to build this railroad yet in 1855, and they wouldn’t begin building it until 1858. They finished it in 1861. I’m beginning to think that William might have been this railroad agent. Here’s why. 3. I discovered that this same Edward Cable was also the census enumerator for the state of Florida in 1850. In a newspaper article in Jacksonville in 1853, he asked Congress to do a memorial commemorating his six Florida Deputy Census Enumerators. The newspaper listed one of these men as William H. Andrews, so we know that William and Edward Cable had worked together before. I’m still looking for confirmation, though. 4. 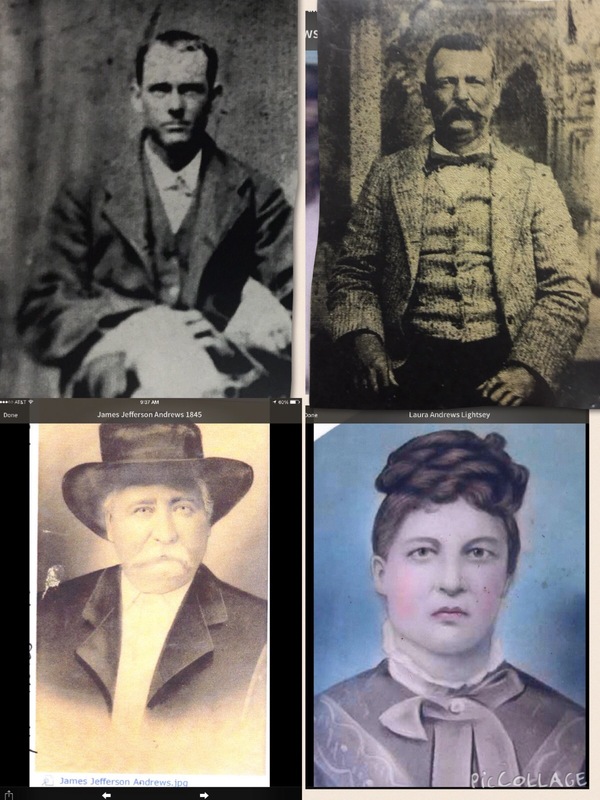 Also this week I developed a Pic Collage of photographs of William and Mary’s children. I still do not have a clear enough picture of what William and Mary looked like. 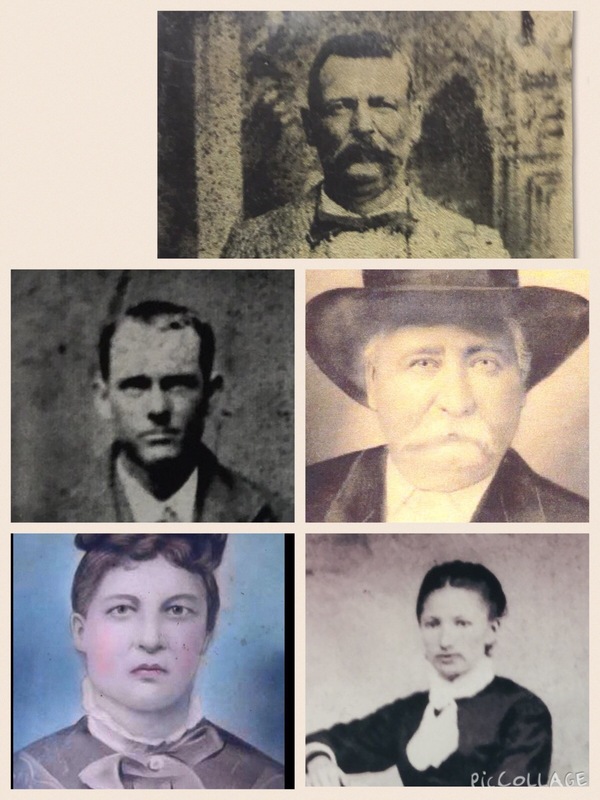 Here is the collage of four of their children. They are full siblings. 5. I attended an Andrews Reunion in Madison, Florida last Sunday, where I received the picture of Valentine Andrews. I also recently got two more pictures from a Texas relative. One picture was Henry Andrews as a young man and Florida Andrews, who later changed her name to Mary Elizabeth, renaming herself after her mother and stepmother. So here is a collage of William’s children from both Mary and his first wife Elizabeth, including Florida mentioned above. Thank you for sharing superb informations. Your website is so cool. I’m impressed by the details that you have on this blog. It reveals how nicely you perceive this subject. Bookmarked this web page, will come back for extra articles. You, my pal, ROCK! I found just the information I already searched all over the place and just couldn’t come across. What an ideal web site.